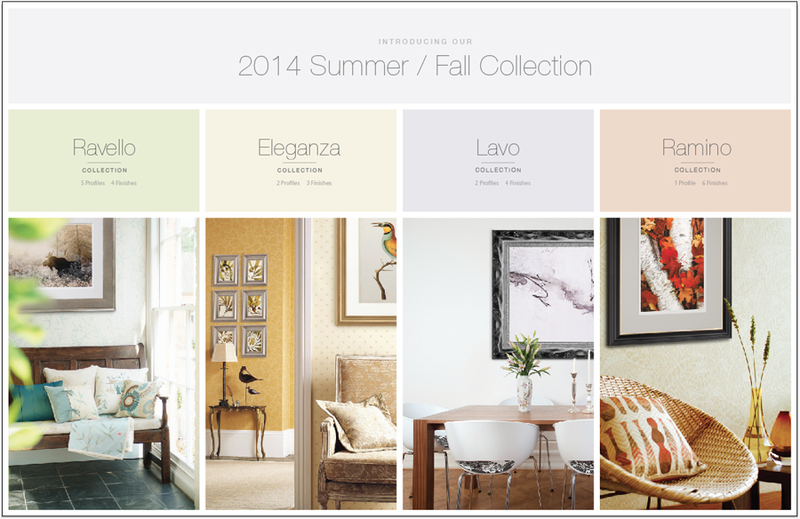 Our outstanding 2014 Summer / Fall collection is now available! We’re proud to release outstanding additions to Lavo, Eleganza, Ramino and to introduce Ravello, our next amazing line! Our 2014 Summer / Fall collection includes more than 40 new mouldings in 10 outstanding profiles, available in 10 trend-setting colors including a never before seen, Roma exclusive color combination and includes 18 new photo frames that are the perfect home for precious memories. Our stunning Eleganza collection is a much-loved traditional line that we’ve added an outstanding new motif that is sure to be an instant hit! Another extension to an outstanding collection, our additions to the Ramino collection will continue pulled off custom framers wall’s daily! This sophisticated line is now available in an exceptional Espresso finish that delivers amazing presence and incredible value as part of Simply Roma line. Introducing Ravello! We worked closely with our Italian suppliers to maintain the centuries old traditions of creating with water gilding. Originally received for royalty and societal elites, we’ve brought the techniques into modern times with our exclusive process called “Power Gilding.” Now anyone can enjoy the timeless beauty of authentic-looking water gilding! 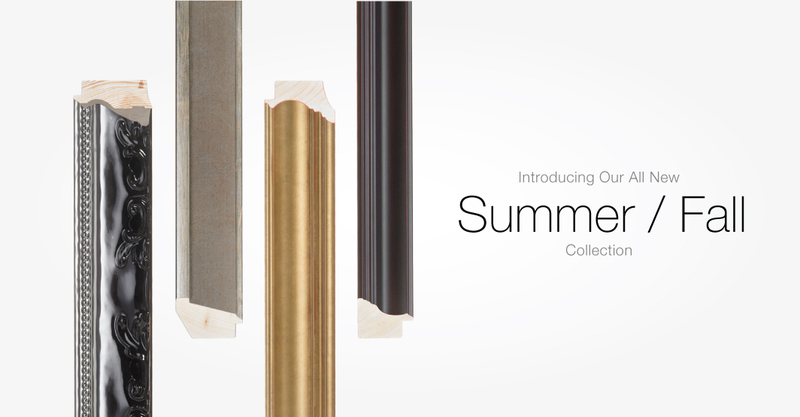 Check out the 2014 Summer / Fall collection here! Our 2014 Summer / Fall collection is now available! Such a beautiful collection and so much fun to work with. The possibilities are endless!